Is your home looking tired and unloved? 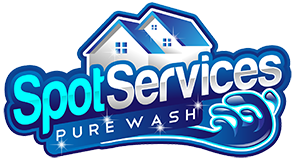 Call us for a full house wash that will refresh your entire home. Our low pressure house washing service quickly and gently removes moss, lichen, algae and traffic film from the exterior of your home. It’s far safer, faster and more thorough than high pressure cleaning. Our soaps clean the surfaces on a microscopic level, killing that green algea that’s been taking over your home. NEVER USE HIGH PRESSURE ON SIDING!!! We can clean all types of exterior surface with our house washing rig including plastic siding, stucco, brick, cement plaster, most painted surfaces, timber cladding, shingles and much, much more. Call us today to find out more, request a no-obligation estimate, or to book your clean! Easton MD House Wash and Siding Cleaning. Pressure Washing Of Sidewalks and Driveway. Call us for a low pressure house wash service in Cambridge Maryland!